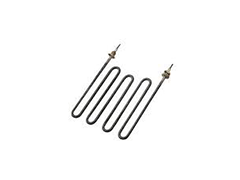 Chhaperia has its hand in manufacturing electric tubular heating elements. Leading in the electrical segment by producing heaters with advanced machinery and standard equipment, our journey continues in the core of excellence. The expert team at Chhaperia works on analyzing the material that too is wounded or coated to the coil and the components. This keeps track of proper working of the system once it’s installed. After verifying by the expert team, the unit is subjected to further processes.